Tom Haines from AOPA joins us this episode to talk about the organization’s accomplishments and future priorities. In the news, we look at seven airline innovations, the fatal training accident rate, and the ANA dual engine shutdown. Also, Launchpad Marzari on snarge, plans for an around-Australia charity flight, and an idea to open Meigs Field Airport for a new kind of aviation. Tom Haines, SVP of Media, Communications & Outreach. Courtesy AOPA. 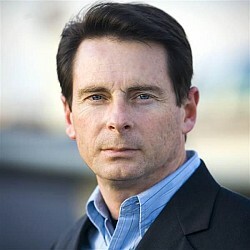 Tom Haines is Senior Vice President, Media, Communications & Outreach for the Aircraft Owners and Pilots Association. He hosts AOPA Live This Week with Melissa Rudinger, and he owns and flies a Beechcraft A36 Bonanza. Since soloing at 16 and earning a private pilot certificate at 17, Tom has flown more than 100 models of general aviation airplanes. We look back at some of AOPA’s accomplishments from 2018, and ahead to future imperatives. Tom talks about ATC privatization and how the 5-year reauthorization means it is unlikely to come up again soon, the 2020 ASDB mandate and the need for agreement on the path for NextGen, and the drive for lower cost solutions for the general aviation fleet. We also take a look at the activities of the AOPA Washington, DC office as well as the regional fly-ins planned for 2019. There will be three this year (see 2019 AOPA Fly-In locations revealed) and the season kicks off May 10 and 11, 2019 at AOPA headquarters in Frederick, Maryland, at Frederick Municipal Airport. The second fly-in will take place June 21 and 22 in Livermore, California, at Livermore Municipal Airport. The third fly-in of the season will be on Sept. 13 and 14 in Tullahoma, Tennessee, at Tullahoma Regional Airport. This year is the 80th anniversary of AOPA and the celebration at Frederick promises to be something special. Tom touches on AOPA’s drone pilot membership and email newsletter, as well as the magazines and other resources and programs that the organization provides. The You Can Fly program offers a STEM curriculum for high school students, the Rusty Pilots initiative, and activity with flight schools to help students complete their training. The 2019 You Can Fly Challenge is now open with the Ray Foundation offering $2 million in matching funds. Tom also explains AOPA’s role in the May 9, 2020 Arsenal of Democracy flyover. This is expected to include nearly 100 vintage warbirds in 24 formations representing the major battles of WWII. Airlines are engaging aviation think tanks, looking for the next big thing. Air France and KLM have incubation studio Big Blank. IAG, the parent company of BA, Iberia, Vueling, Aer Lingus, has its accelerator, Hangar 51. Lufthansa has the Innovation Hub and JetBlue has Technology Ventures. A report from the AOPA Air Safety Institute (ASI) and Liberty University School of Aeronautics looks at 240 fatal instructional accidents in piston-engine airplanes from 2000 – 2015. The greatest risks in flight training are loss of control inflight (54%) and midair collisions (10%). B787 ANA Flight NH985 from Tokyo Haneda to Osaka Itami touched down, and when the thrust reversers were deployed the pilots noticed both Rolls-Royce Trent 1000 engines had shut down. Was this a software glitch? Perhaps an issue with the Thrust Control Malfunction Accommodation (TCMA) system for which Boeing has a 2002 patent? Teenager Solomon will be flying around Australia in March of 2019 to raise money for Angel Flight and to promote the aviation industry to kids his age. On my trip, he will be stopping at schools to hold a fundraiser and to talk about the aviation industry. The trip is being planned to take 30 days and to visit 25 schools, covering a distance of 7,500nm with around 75 hours of flying. See Solomon’s Facebook page: SoloMan around Australia, his website, and the GoFundMe site: SoloMan Flight – Angel Flight Fundraiser. Willie L. Wilson, candidate for mayor, with an interesting Meigs Field proposal. This entry was posted in Episodes and tagged ANA, AOPA, Australia, B787, Big Blank, Hangar 51, Innovation Hub, Meigs Field, Technology Ventures, training on January 23, 2019 by maxflight.